The doors are open. The sales are here. It's Black Friday. Black Friday faithful are already scooping up deals at malls and department stores across America. A few stores -- like Kmart and Radio Shack (RSH) -- opened Thursday morning, but most -- including Macy's (M), Best Buy (BBY), Target (TGT), Kohl's (KSS), Toys R Us, J.C. Penney (JCP) and Sears (SHLD) -- waited until after Thanksgiving dinner was served. As night fell, Manhattan's bustling Times Square was packed with deal hunters -- some from as far away as Sweden and Florida. "My God, it's crazy down here!" a mother exclaimed inside Toys R Us as she trailed three children past a robotic Tyrannosaurus Rex. Nearby, a worker wearing an elf hat pumped up the crowd: "I guar-an-TEE it's $24.95!" he crooned. ‎Walmart (WMT), the nation's largest retailer, kicked off its sales at 6 p.m. At the chain's location in Neptune, N.J., shoppers braved long lines in order to secure deeply discounted items. Lola Stoball had her niece stand in line for a 50" LED TV on sale for $218 while she was waited for an iPad mini. Stoball shops every year on Thanksgiving, and was also planning to hit Target and Toys R Us. "I just love shopping," she said. "I come because it's fun and for the deals." Electronics were among the most sought after sale items at the Walmart, and some shoppers were buying for themselves. Hassan Mehdaoui picked up an Xbox 360 for $99. "You can't go wrong with that price, it's awesome," Mehdaoui said. "I love getting stuff like this, it's what I live for." There were a few brawls. Police had to intervene when crowds got rowdy at Walmarts in in Houston and Michigan City, Indiana. 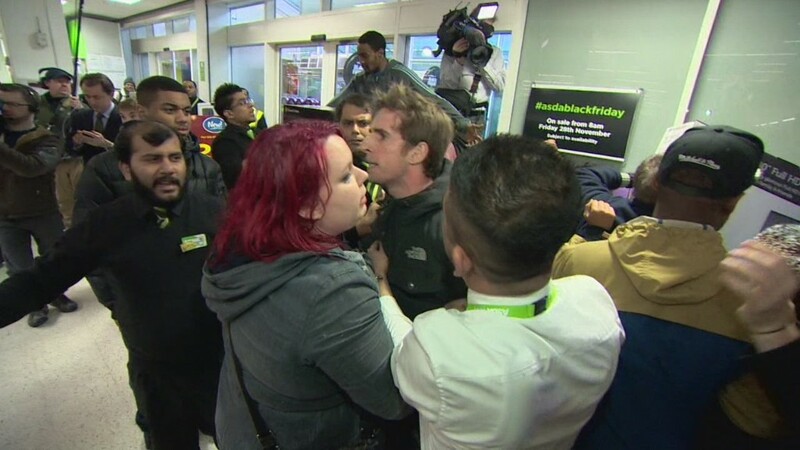 In Los Angeles, shoppers said a fight broke out over a discounted Barbie doll. Overall, Walmart vice president Laura Phillips said business on Thanksgiving was "awesome." She didn't provide sales figures but said 22 million customers shopped in its stores on Thursday. Yet there was some backlash. Some stores, like Costco, have said workers "deserve" Thanksgiving off. Only 12% of Americans were planning to go shopping on Thursday, according to a new CNN/ORC Poll. Still, that's some 36 million shoppers. A larger number -- about one-in-five -- said they would visit a store on Friday. Customers are discovering they don't need to leave home -- or even the dinner table -- to get deals. Many retailers launched their first holiday discounts several days ago across their sites and mobile apps. The shift to online shopping is showing up in Black Friday sales numbers. Revenue growth is now about half of what it was a decade ago, and foot traffic continues to decline at brick-and-mortar locations. Target, for example, said the number of online orders on Thanksgiving were up 40% from last year. 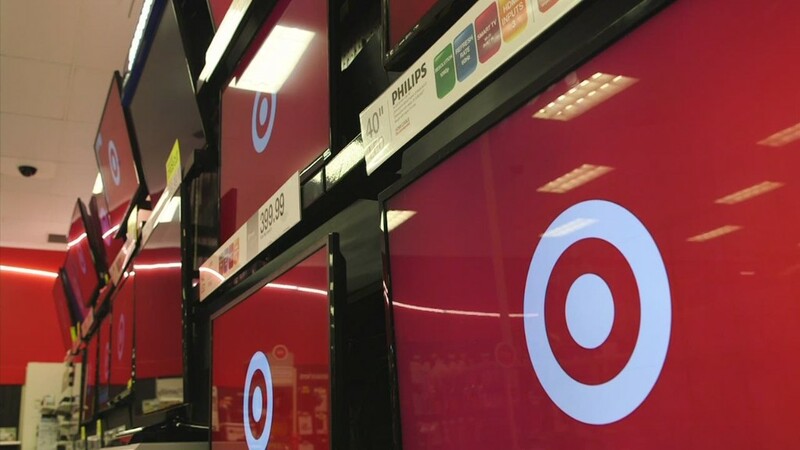 And on Wednesday, Target's online sales topped the same day's 2013 sales by 9 a.m. Retailers hope that online shopping will help fill the gap. The National Retail Federation projected holiday season spending would grow 4.1% more than last year to $616.9 billion. Online spending is expected to grow even faster, with various estimates projecting a spike between 8% and 15%. Stores are competing against each other to grow their slice of that pie, which is why opening times are getting earlier and earlier. But maybe the joke's on them: A CNNMoney analysis found Thanksgiving openings did little to boost sales. Still, there is something magnetic about Black Friday. At the Macy's flagship store in Manhattan, Manuel Lizaralda and his sister Stephanie were shopping for shoes, jackets, and sweaters to give their mother as gifts. Manuel had traveled from Bogota, Colombia to visit Stephanie, who is attending school in New York. They spent roughly two hours shopping at Macy's, but they weren't finished: They were headed for a nearby store, Zara, to shop for more apparel and shoes. Zara's Black Friday special was 30% off everything. "It's amazing," Stephanie said. "But it's too many people; it gets annoying." -- CNNMoney's Aaron Smith, Les Christie and Katie Lobosco contributed reporting.